CUPE has adopted an action plan to help ensure workers have the protection of a union, and the collective power that comes with being organized. 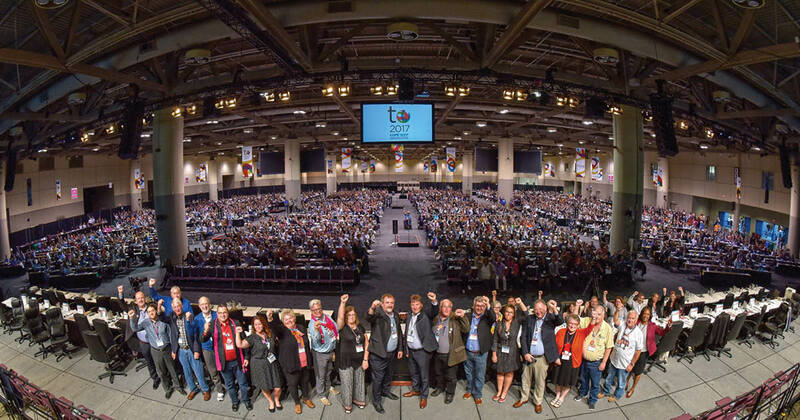 Delegates to CUPE’s 2015 National Convention mandated that an organizing paper be presented to the 2017 convention, where it was referred to the National Executive Board. The NEB has now adopted this comprehensive document. Growing stronger: A plan to build our union, outlines the steps we must take to build our collective strength through membership growth. Staff are now working to implement the 15 key commitments that will drive our organizing efforts. CUPE’s commitment to growth involves continuing to build a culture of organizing throughout our union. The plan builds on the groundwork that has been laid through enhanced training and pilot projects taking place across the country. By taking measures such as refining our organizing methods and materials, embracing data and digital tools and protecting our existing members, CUPE will grow.